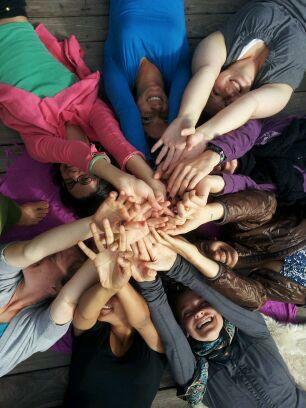 InPower camps help young women in underserved areas access nature through outdoor adventure. Our 5-day nature camps offer a variety of activities including rock climbing, kayaking, hiking, nature-crafts, native skills, beach games and surfing. On our final night we have a camping sleepover, complete with campfire songs, games and story-telling. This is often the first time the girls experience sleeping under the stars! We combine outdoor adventure with social emotional learning, resilience, self-confidence building and PLAY! Our goal is to empower young women from all races, sexual orientations and economic backgrounds to grow a deeper sense of integrity, inclusion and care for our earth. Learning with experiential educators and mentors, we build life skills together that empower all of us to reach our full potentials! Our transformative adventure camps are designed to empower girls to learn healthy habits, strengthen self-confidence, learn how to love and learn from nature and become wise leaders of our future. At an important time in a young girl's life, our camps help nurture self-confidence, foster environmental stewardship and allow the girls to gain skills needed to face the challenges of adolescence. These camps make a difference in their lives that last forever. Our girls and our mentors are diverse in experience, ethnicity, race and socio-economic status. To ensure economic diversity, we offer financial aid. If you're interested, in our program please contact us below.